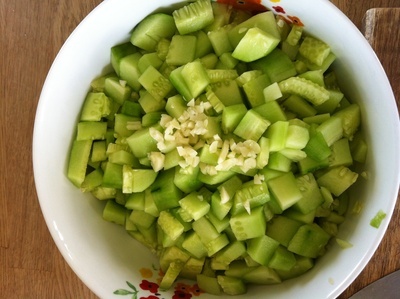 A cooling cucumber salad, perfect for summer and the kids will love it. 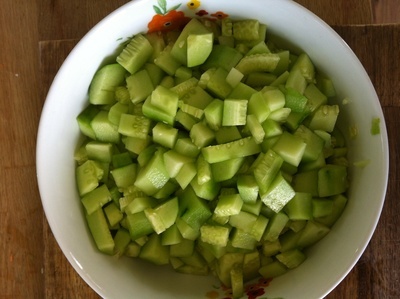 This is a ridiculously easy dish to make and if you have cucumbers that you don't know what to do with, why not turn them into a wonderful summer salad. Yoghurt makes everything delicious, and with a hint of garlic this salad works wonders. It is cooling for any hot ad spicy dishes you might make and it is also perfect and healthy for the kids as a light snack. 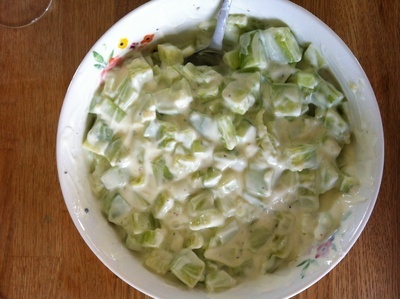 Cucumbers are so versatile and delicious that your kids will love them when combined with yoghurt. Serve this up for your Christmas lunch with some meat or seafood and you won't disappoint your guests. This salad is a popular accompaniment to any meal and it is healthy and zesty; kid friendly and absolutely amazing. 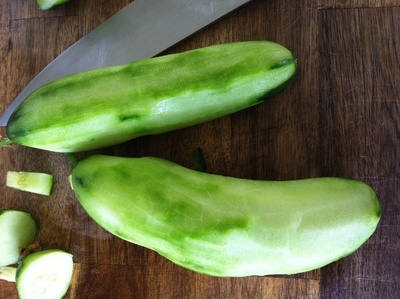 Peel the skin off the cucumbers. Serve alongside meat and vegetable dishes.